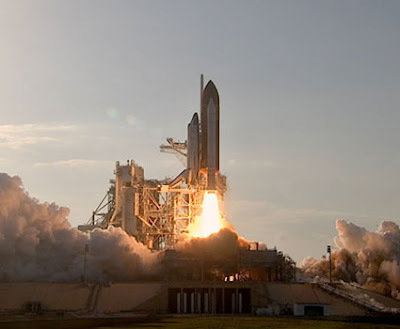 As the Orlando Sentinel noted, The launch marks the beginning of the end of the space-shuttle program, 30 years after NASA began launching reusable, do-all spaceships into orbit to do everything from launching satellites to building the space station itself. After Endeavour in April and Atlantis – now set for June – NASA will have no manned-space rocket for the first time in 60 years. There is, of course, much sadness associated with these final flights, but at least for today, let's just salute the greatness of the program and the thousands of people that have participated in it.